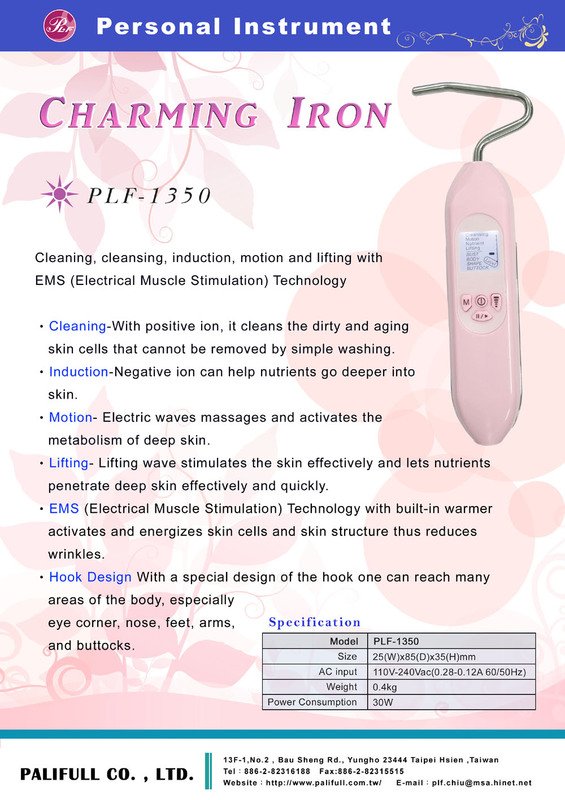 Charming Iron (PLF-1350) - High quality Taiwan Charming Iron (PLF-1350) provides by Palifull Co., Ltd.
skin cells that cannot be removed by simple washing. skin structure thus reduces wrinkles. nose, feet, arms, and buttocks.